As conditions continue to deteriorate, Jonathan Clare explains how under-investment in and mismanagement of the country's energy resources foreshadowed the country's dire financial problems. The turmoil that has come to define Venezuela shows little sign of abating. In fact, conditions are getting worse. Despairing Venezuelans are voting with their feet. Hundreds of thousands have poured across the borders to escape hyperinflation, acute shortages of basic goods and soaring crime. With more than 1.5 million Venezuelans now living in neighbouring countries, the phrase "Will the last one to leave please turn out the lights!" is becoming an increasingly apt description of unfolding events. Yet the troubles currently afflicting the nation, while unprecedented in their severity, are by no means new. Inflation is forecast to reach 1,000,000% by the end of the year, heaping more misery on businesses and ordinary people, yet in the early 2000s when I was based in Caracas, I witnessed not dissimilar chaos. I cannot remember how many times commentators, when asked whether things could get any worse, warned darkly that "anything can happen in Venezuela". The soap-opera politics was a daily topic of discussion and source of anxiety for us, caught up as we were in the conflict between pro-government and opposition groups. Living among a completely polarised population was challenging, to say the least. Then, as now, the regime had few answers to the problems besetting the country. The current administration of President Nicolas Maduro (pictured above) pins the blame on the US and the opposition. His predecessor Hugo Chavez was just as prone to deflect responsibility on others when his Bolivarian Revolution hit the rails. I recall the flight of many middle class Venezuelans and businesses, as Chavez diverted oil wealth towards worthy but ultimately ill-judged, mismanaged social programmes. Even some of those who benefited from the largesse eventually became disenchanted with the government once the economy began its downward descent a decade later. 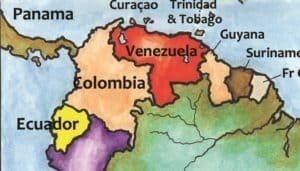 Others were simply baffled how a country with the largest proven oil reserves in the western hemisphere, once dubbed Saudi Venezuela, was unable to maintain any degree of economic stability. Oil accounts for 96% of exports and around 90% of government revenues. To fully appreciate the scale of the country's financial ills, just scan the national oil company PDVSA's plummeting production, which has more than halved since 2001. Falling crude prices have not helped matters, but all energy-based economies have had to deal with that, and have somehow muddled through. Why the slump in output was not addressed with investment in better management of the industry is hard to fathom. Just as puzzling was the absence of any serious attempt to diversify the economy. When I asked my local business friends why this was the case, they would say there was little motivation to do otherwise. "Why bother when you have so much oil revenue?" was the typical refrain. To my mind, the economic die was cast with the fallout from a months-long national strike called in late 2002. Organised by the opposition to try to force Chavez out office, the action paralysed the country, dealing a serious blow to oil production. 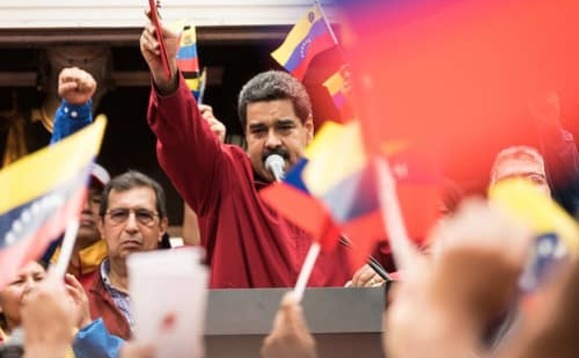 The president's rivals took over PDVSA. After seizing control, Chavez promptly sacked around a third of the workforce, mostly senior managers and skilled members of staff. They were replaced with workers seemingly ill-equipped to deal with the challenges of restoring the company to health. Before the industrial unrest, PDVSA was reputed to be one of the best run state companies in the world. Subsequently, the majority of the dismissed workers, many of whom were opposition supporters, left the sector or went into exile for ‘extended sabbaticals' overseas. Many other educated Venezuelans and domestic businesses joined them, concerned about the economic downturn and political persecution. In the short-term, Chavez and his supporters rejoiced. A sustained period of high oil prices boosted the government's popularity and helped finance social programmes across the country. Chavez was sufficiently flush to even export subsidised oil to friendly regimes in the region and further afield. But when the oil price plunged in 2014, the consequences of under-investment in both oil infrastructure and technical expertise coupled with the lack of economic diversification became all too evident. A foreign currency shortfall triggered inflation, with worse to follow. In the early 2000s, the country was facing a political crisis while the seeds of an economic one were being sown. At the time, Caracas was still bustling, and the overall business risk appetite was still high amongst many of my commercial contacts there. There was a general conviction that the oil would keep flowing and the country's resilience would see it through anything. That has patently not proved to be the case. The country's capital is a shadow of its former self. Spiraling crime, driven by economic deprivation, has resulted in it becoming one of the most violent cities on the continent. Those who can, flee. The exodus is draining the lifeblood from the country. The loss of its brightest and most able will make a recovery so much harder.